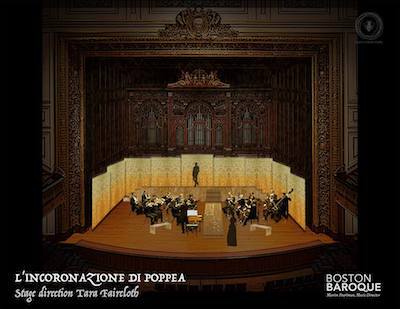 I'm thrilled to be making my Boston Baroque debut as Damigella in Monteverdi's L'incoronazione di Poppea. Nausicaa in the revival of Louis Andriessen's Odysseus' Women/Anais Nin with director Jorinde Keesmaat. Two house recitals featuring songs by living American composers. What was I *just* up to? Duet recital with Mezzo-Soprano Stephanie Blythe including the World premiere of Scott Gendel’s cycle Grandma’s Kitchen, performed by Daniel Overly and Maggie Finnegan. US Premiere of Dutch composer Jacob TV's song cycle Van Grote en Kleine Vogels for coloratura soprano and soundtrack. Live artwork created by Rufino Jimenez. Paola Prestini's Body Maps (2007) for cello, soprano and electronics. The music of Lembit Beecher, including excerpts from his new opera Sophia's Forest , for soprano, quartet and sound sculpture. Solomon's Queen, First Woman and the Queen of Sheba in Handel's Solomon with the City Choir of Washington and conductor Robert Shafer. Soloist with the PyeongChang Winter Music Festival in South Korea. Please visit my [BLOG] page to share in my adventure! S&R Foundation's Washington Award Winner! I am thrilled to be one of five artists who won the S&R Foundation's Washington Award. I will perform and be honored at a gala in Washington DC this coming June and will be awarded $5,000! Huge thanks to the S&R Foundation, Jeremy Ney and Lembit Beecher. Workshop of Lembit Beecher's new opera To Hide in a Tree of Sound for soprano, string quartet and a multi-piece sound sculpture. Curtis Institute of Music, Philadelphia. Check out my [BLOG] for videos and photos! Performance with the Avanti Orchestra and conductor Pablo Saelzer. Friday November 18 @ 7:30pm at the Cultural Arts Center at Montgomery College just outside of Washington DC. Repertoire: Andrew Hsu's Teasdale Songs/ Manuel De Falla's El Sombrero de Tres Picos/ Bernstein's Glitter and Be Gay. Performed by James Lecesne, directed by Tony Speciale with a "talk back" afterward with Eve Ensler. November 5, 7:30pm The Main Hall at the Garrison Institute. In Her Words: Women's Voices in Verse and Song. October 15 @ National Sawdust, 80 North 6th Street Brooklyn, NY 11249. My friend Kara [and mother to my step-kids] desperately needs a Kidney, so I'm doing what I can to help. If you're in the area, please come to my benefit recital and/or consider giving to help her out! [click the link below] This event's aim is to raise awareness of Lupus and Kidney disease as well as raise money to help Kara's kidney donor pay for donation related things like travel, housing and loss of income. Please click on the button below for more information. Repertoire includes songs by Lembit Beecher, Juliana Hall, Dominick DiOrio, Lonnie Hevia and William Bolcom. Soprano 2 in Vital Opera presentation of a workshop of the world premier of Unfinished: An Opera. "Unfinished [is] a new opera from composer Joshua Groffman and librettist Sarah Heady about the now-defunct Bennett College in Millbrook, NY and an American community in flux." The Bennett School for Girls c.1910s. Image courtesy of the Millbrook Library. Opera Reconstructed Get Trump'd: We're Making Opera Great Again. I was thrilled to premier the role of Lisa in the New York City premier of the new opera Lisa's Room: A Dream Opera by Melissa Shiflett. FIRST PRIZE AND THE AUDIENCE CHOICE AWARD AT THE WASHINGTON INTERNATIONAL COMPETITION FOR VOICE! I made my Kennedy Center debut in the finals concert at the Terrace Theater. In addition to being awarded $10,000 for First Place and $1,000 for the audience choice award, I will perform next season with the Avanti Orchestra. Stay tuned for details! Judges were Frederica von Stade, William Stone and David Effron. Me with Ms.Von Stade after the Finals Concert at the Kennedy Center. Composer Lembit Beecher was honored as the Grand Prize Winner by the S & R Foundation and we performed selections from his song cycle Looking For Spring. The Broken Consort presents MADE IN AMERICA: A Portrait of American Born Musical Idioms Through the Early 1900s.